Damage-Free Hardwood Floors With Pets? Is It Possible to Have Beautiful, Damage-Free Hardwood Flooring With Pets? The debates always rage as to whether it is wise to invest in wood floors if you are a pet owner. Pets often get the blame for damage that is easily controlled and prevented. The potential for damage from moisture, scratches, and other environmental factors exist whether you own a pet or not. Below are a few things you can do to ensure your hardwood floor stays in great condition and your pet enjoys life to the fullest. What type of damage can be caused by pets to your hardwood floors? Some of the more common problems with pets and wood floors are scratches and indentations from nails, scoring from scratching and digging, chewing, moisture, and acid damage from urine or regurgitated foods. Some of this is preventable through monitoring your pet, establishing good training and potty routines, but there are a few types of damage that are simply endemic to installing the wrong types of wood for flooring with pets. Along with choosing the right flooring, you can begin to incorporate ways of protecting the surface from potential damage. Rubber or plastic mat placement at every entrance and exit of the home is the perfect way to help protect these spots. You can also cordon off certain areas to reduce wear-and-tear in the more open rooms with wood flooring. You can develop a strategy that allows for the comfort of your pet and the protection of the floor simultaneously. Keep loose boards and trim tight to avoid damage from chewing. Provide dogs with plenty of toys to chew on as an alternative. Any pet that is still maturing has the potential to have a bathroom accident on the floor. It can also happen if the animal is frightened or suffers from separation anxiety. Male dogs and cats also tend to mark their territory in ways that humans find slightly repulsive but are natural to the animal world. Look for signs that your animal is fixing to use the floor as a restroom and take them outdoors immediately, or to the designated potty area. Potty training requires both commitment and patience with young animals. In the meantime, stand prepared to quickly clean up messes. Use a secure area until potty training success is achieved. You can place extra litter boxes and puppy pads down in one contained roo easier than chasing down your pet all over the home. Your pet and hardwood floors will thank you. The nails on pets are made of hard material that can become sharp when left untrimmed and unmanaged. Not only is this uncomfortable for your dog or cat, but it can prove highly damaging to some types of softer hardwood flooring. The cherry species, as an example, have a tough time surviving the claws of heavier animals, especially if they are left untrimmed for long periods of time. You will begin to notice scratches and dents all over the surface of your wood. It is hard to hide this type of damage without a complete rehabilitation. Cats rarely develop the habit of scratching floors, but they can gouge areas if they are rambunctious and playful. Accidental scratches can happen if they are reaching out for toys, or roughhousing with another pet. Construct an area filled with elevated carpeted stands and boxes for your cat to enjoy. Most prefer to be up away from the floor. Keep the nails of all your pets trimmed on a regular basis and you will avoid this problem. 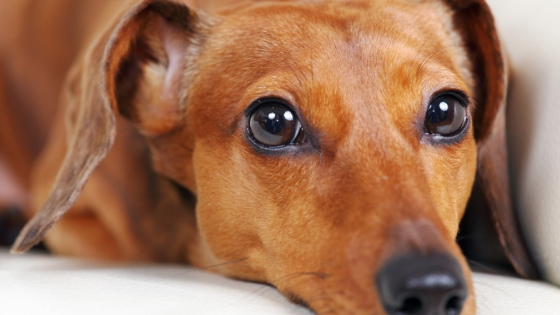 The saliva and stomach acid of your pets can wreak havoc on the surface of your wood flooring. It can quickly eat through the stain and begin to degrade the wood. Pets that are allowed long periods of time to free-range outdoors can bring back a problem that you might not expect. When dogs and cats grab wild animals as a snack, it can later cause them to regurgitate the leftovers on your wood floor. Not only is this totally disgusting for the owner, but it is hard on your wood surface. Cats are also renowned for coughing up the traditional hairballs that contain stomach acid. It is critical to clean these messes up right away, but understand this is normal behavior for your animals. Keep your dogs from roaming beyond a fenced area, or walk them on a leash. It is also possible to leash train a cat. You will be in better control of their outdoor diet. Tracking in water, ice, snow, and mud is never a good thing for hardwood floors. Practicing moisture control measures is the best option during periods of inclement weather. Thick, waterproof, and absorbent rugs at each door are the best solution for rainy and snowy days. Stay ready for the return of your pets from outdoors with a dry towel. Grab a damp mop for the occasion they slip past with wet paws. Place rugs on both the inside and outside of each door in use for pets and keep snow and ice clear from the porch or entryway. The hardness of the wood counts in providing durability of the product around pets. Each wood varies on how hard the surface is and can make a big difference on whether you experience a little or a ton of damage from everyday wear and tear with dogs and cats. American Cherry is one species to avoid, especially if you have larger-breed dogs in the home. Brazilian walnut and hickory are hard, tough, and e4xcellent choices for any type of pet ownership. You can use the Janka Hardness Rating to help find the types of wood that are better for homes with pets. Use the rating to direct your search for the perfect wood grain and finished look you desire. Harder wood tends to last longer for the life of your floors, which makes this a beneficial consideration whether you own a pet or not. If you cannot completely avoid incidental damage from pets and hardwood flooring, disguising is another way to keep your floors looking great. Choose colors that do not accentuate scratches and dents. Lighter wood finishes with tons of swirling wood grain effects help disguise most smaller scratches. You will go long periods of time between the need for refinishing the surface. Consider adding a protective coating of products that are deemed safe for wood floors. It will also help ward off smaller scratches. The installation of pre-distressed wood for flooring is not only a smart way to have beautiful wood floors with pets, but it is a growing trend in the market. You can even find a way to be kind to the environment and utilize reclaimed hardwoods. The fashionable areas of scratches and scores will make you breathe easy as your dogs romp through the house. You can find suppliers that will customize the distressed look you want. It brings a rustic feel to the room that seems perfect for a homey atmosphere involving the presence of dogs and cats. Less stress in worrying about your floors will make every moment more enjoyable. Area rugs can save the day when it comes to protecting your hardwood floors. Many people scoff at covering up a beautiful floor, but placing these rugs in some areas of the home is beneficial. You can easily use gates and close doors to rooms that you do not want pets to occupy. It allows you to keep these floors open and all wood showing. Covering up living room floors with area rugs helps reduce wear from the pets and heavier foot traffic. Place runners in hallways to quite the noise and reduce the damage of nails. Most are easy to clean and cheap to replace when worn. You can even install rubber ats to wood stairs that help reduce impact damage. Not every home has a mudroom, but you can add a small set of shelves to house baby wipes, water spray bottles, and small towels to clean up paws as they enter the home. Your pets might find this process aggravating initially, but will come around if you provide a treat afterward. You can also take advantage and use this station for your own shoes after trekking out into the snow or rain. Another viable option for those that want the look of traditional wood floors with the least potential for pet damage is the selections of engineered vinyl waterproof products. It is one of the most durable on the market to resist moisture and scratch damage. You can find this type of flooring in many colors, grain patterns, and textures. Maintaining beautiful wood floors with pets takes the perfect combination of animal care and installing the best product from the start. You can find a happy medium that allows for the comfort and worry-free enjoyment that hardwood flooring offers to any homeowner.